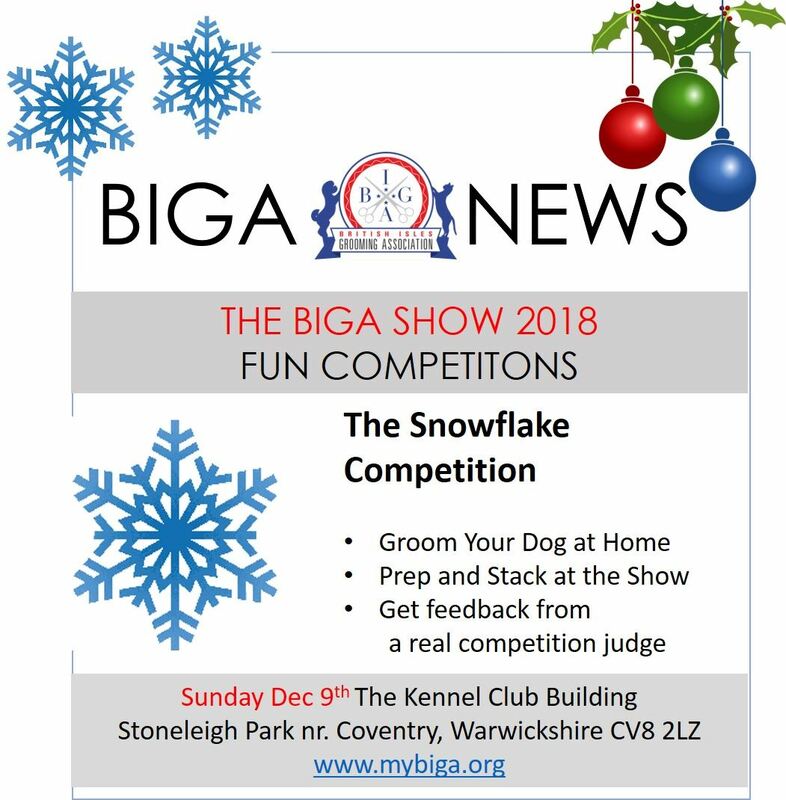 The Snowflake Challenge is back this year. 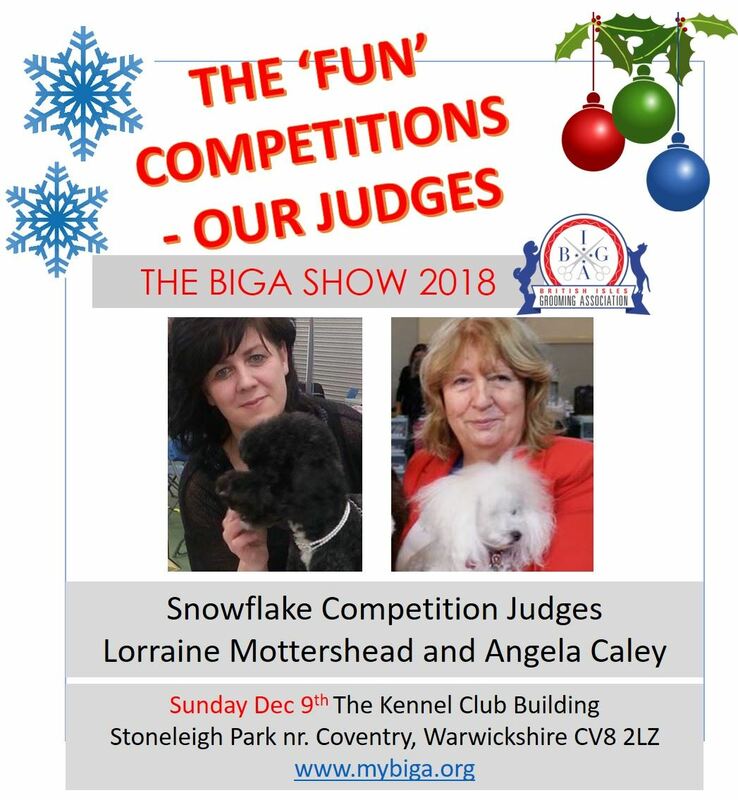 Groom your dog at home, bring to the show (with your own table), prep, stack and get feedback from our competition judges Lorraine Mottershead and Angela Caley. To register, click here. 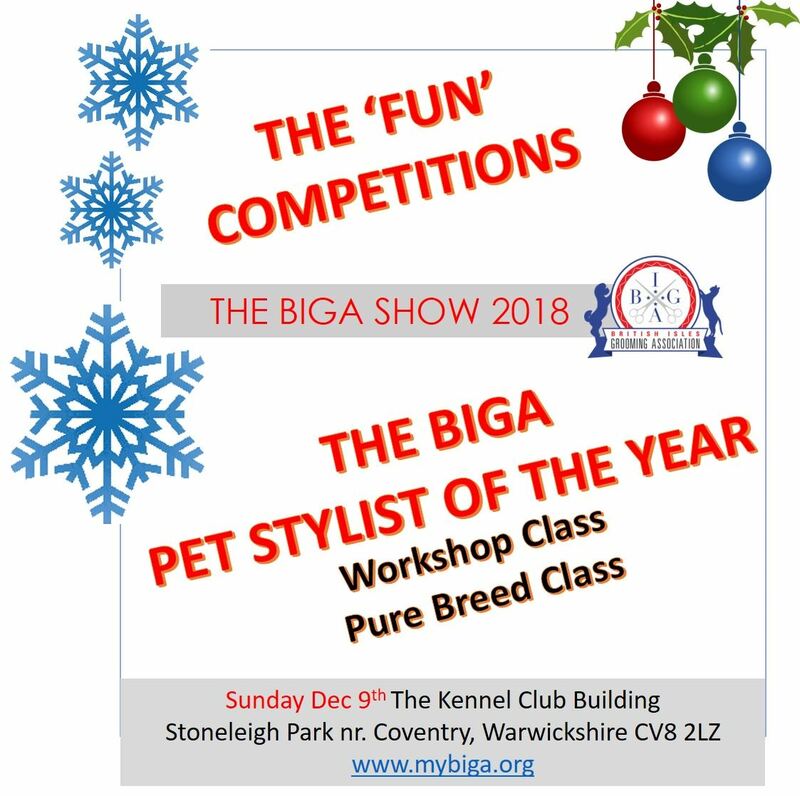 We also have a NEW fun competition this year The BIGA Pet Stylist of the Year. This is all about PET styling - like you do in the real world everyday as professional pet groomers (ie. this is not Show grooming). 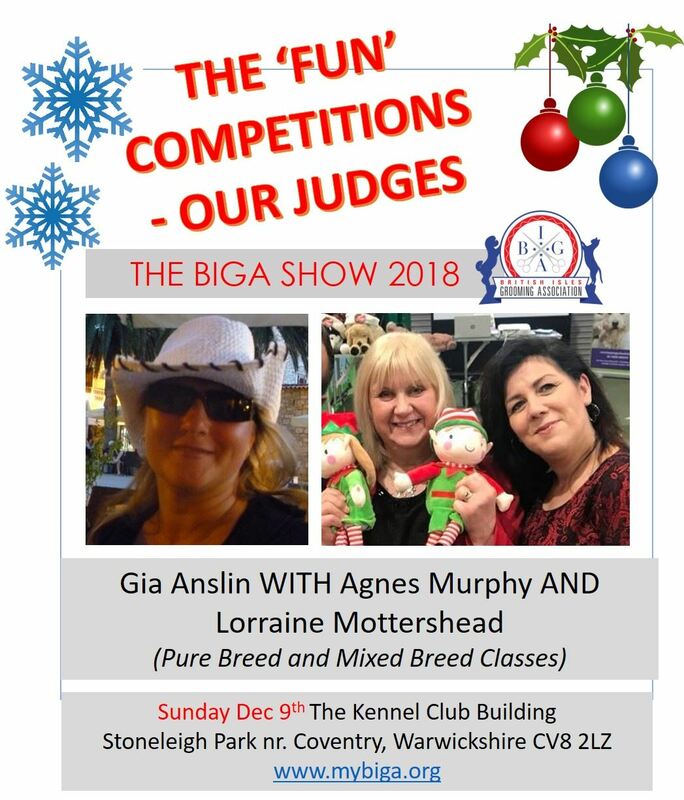 We have a Workshop class and a Pure Breed class. To register for The BIGA Pet Stylist of the Year FUN competition (keyword FUN), please register here. YES - there are PRIZES ! Details to be confirmed !